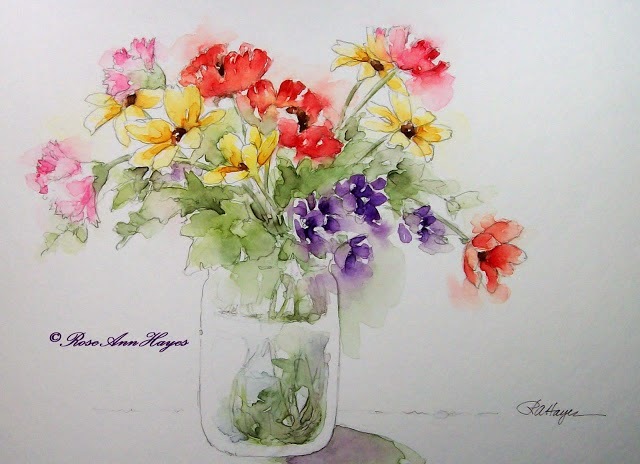 Rose Ann Hayes' floral watercolor bouquets feel as though they've just been hand-picked from the garden. Gorgeous, watery color! 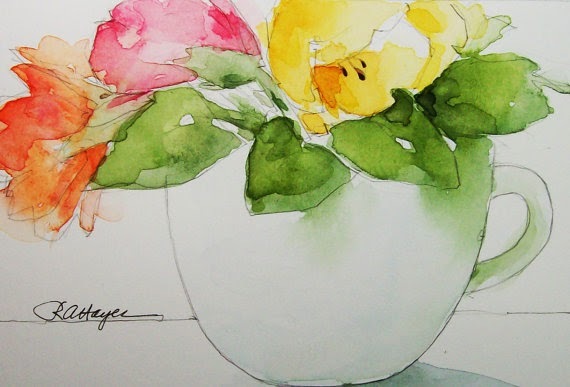 I love the fluidity of her paintings and how the brush strokes of color extend beyond the shape of the flowers and creates a beautiful shadowy background. 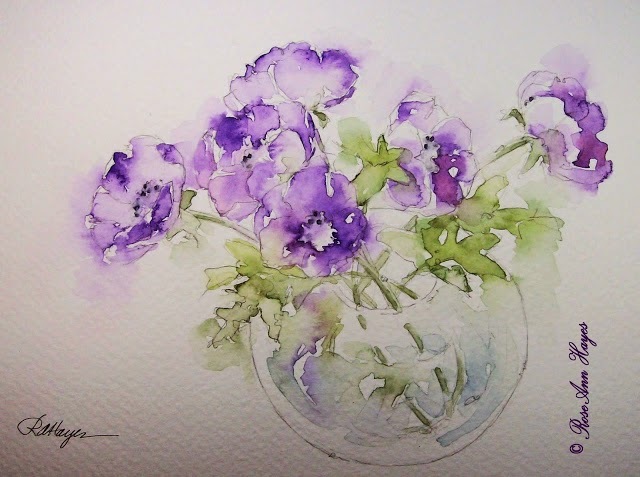 Rose Ann's paintings and prints are available on Etsy and she posts new ones on her watercolor blog. 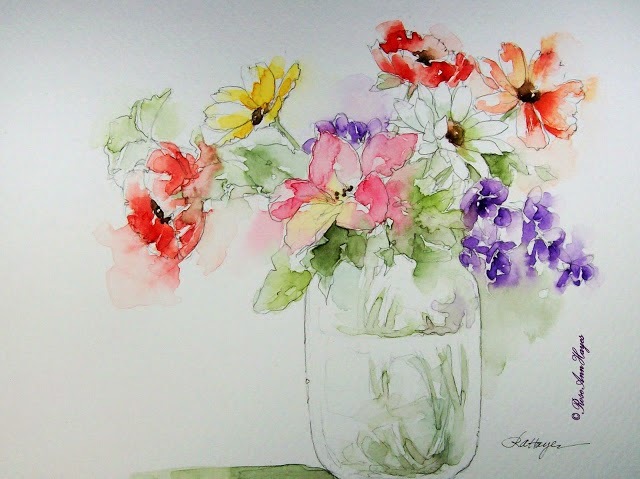 Be sure to stop by for a visit and see her other wonderful paintings. I'm sure you'll be glad you did! Thank you for inspiring me today Rose Ann! Your things are lovely...even other-worldly. 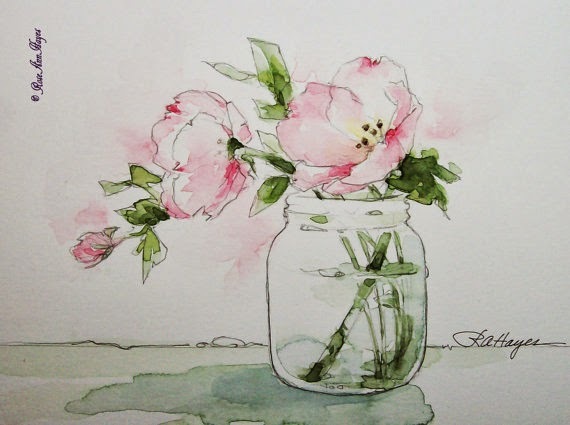 Your use of softness and color are simplicity itself. Therein, lies the beauty and genius of the thing. Timeless subjects--don't change a thing to disrupt this dream-like state that you create.